Body Decoration Temporary Tattoos – Our magnificent collection of Body Decoration Temporary Tattoos with colorful beads and diamante could be just the thing to make an ordinary outfit outstanding. The skin-friendly Body Jewels and Temporary Body Tattoos can be used to create almost any look – the sky really is the limit. Our fantastic Body Beauty selection is a fine way to treat yourself to a dazzling collection of Body Tattoos, Bindis, Body Decoration, Arm Bands and other Body Jewels ideal for those glamorous nights out or for generally looking sensational. The temporary body jewels are reusable self-adhesive body decoration and are applied just like a sticker and can be used a few times, once the glue has dried out they can be re-used using eyelash or body glue. Our range of temporary body tattoos is complete, you can have a different design for different occasions. Shop our best selling jewelry inspired designs. 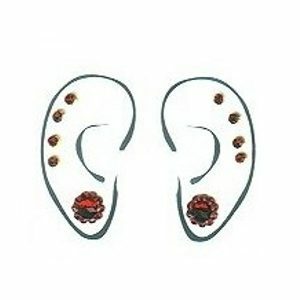 Fancy Bindi is manufacturer, wholesaler & supplier of Sticker Body jewels, Crystal Tattoos, Personalised Tattoo, Body gems, rose tattoos. 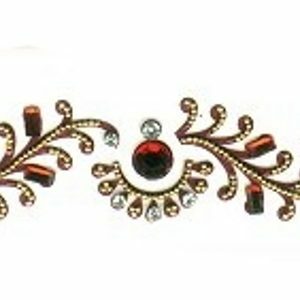 Sticker body tattoo jewels are great to wear for a night out, special occasion, weddings, festivals, parties, proms, dances and anytime of the year & our beautiful Temporary armband Tattoos are made with beads, studded stones, pearls, diamonds etc. 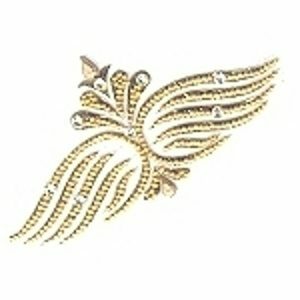 Fancybindi is manufacturer & exporter of Armband Tattoo, Temporary Glitter Tattoos, Glitter Temporary Tattoos, Shimmer Tattoos, Glitter Armband Tattoos, Glitter Lower Back Tattoos, Stick on Body Tattoos. 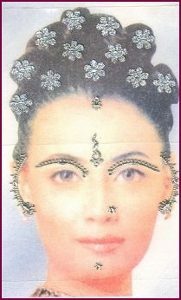 How to Apply a Bindi ? © fancybindi.com 2003 - 2016 All images are copyright of International Business Matrix and any unauthorised use will invite penal legal action.